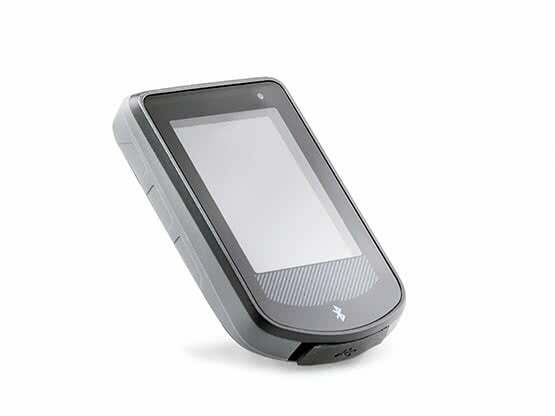 A perfect mix of sporty-elegant design and perfect ergonomics: the e-pilot from Alber convinces. 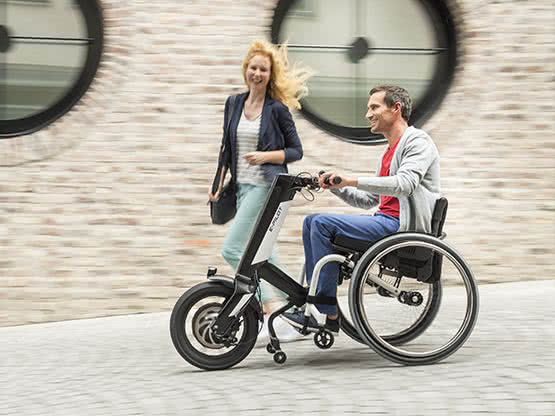 It turns your wheelchair into a sporty vehicle in seconds - the dynamic combination for everyday use. 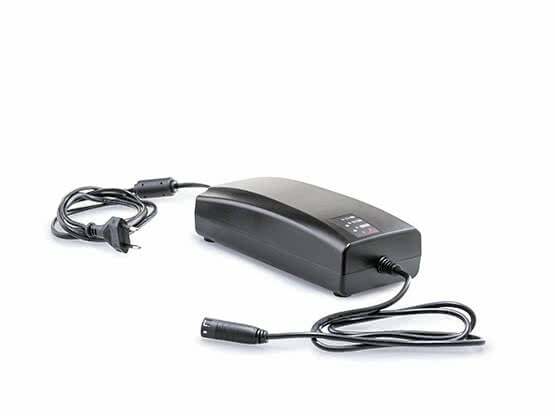 This eliminates the annoying search for a parking space and the tedious transfer into and out of the car. 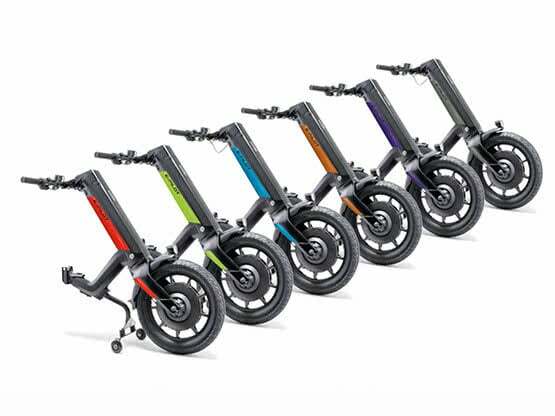 The powerful fork, the battery pack, integrated with the frame and the powerful drive wheel combines sporty design and sophisticated ergonomics perfectly. Drive to the center, visit friends or simply enjoy the day in nature. No problem with the e-pilot: just dock it to the manual wheelchair, switch it on and turn the throttle. Here we go. 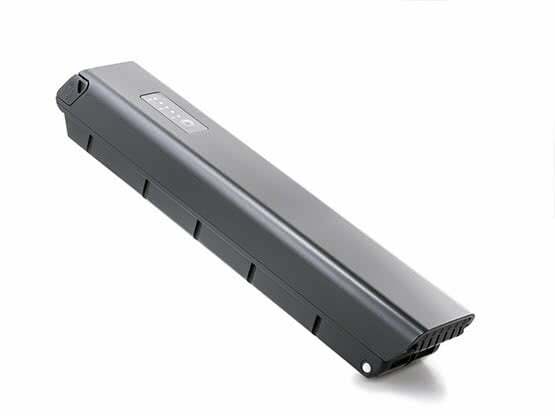 Even distances of up to 50 km are no problem thanks to the large Li-Ion battery pack. 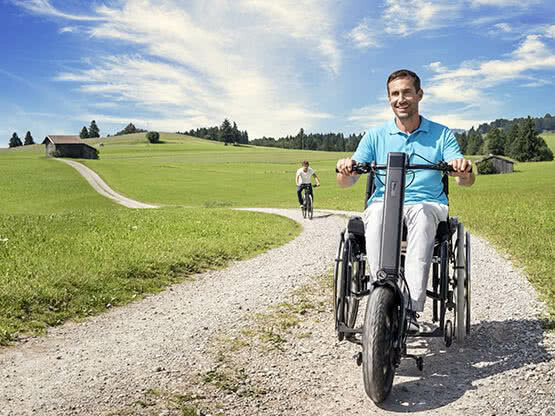 When you reach your destination, undock the e-pilot and travel with your manual wheelchair as usual - full flexibility. Overcome borders, enjoy new freedom. 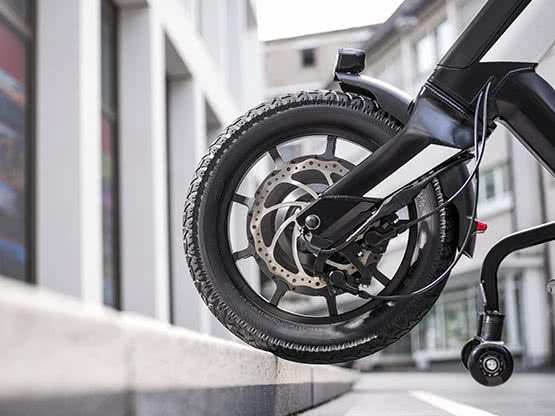 The e-pilot offers a new kind of mobility. 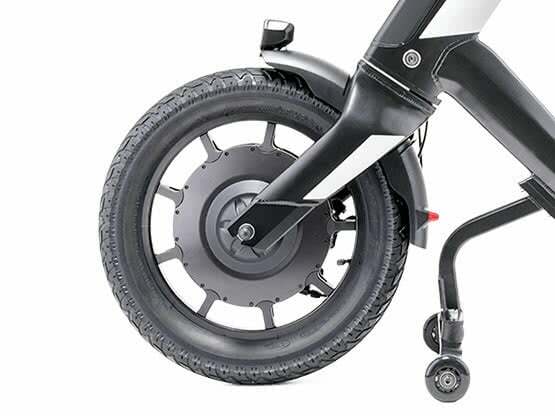 Thanks to the large front wheel, you can easily expand the possibilities of the manual wheelchair. A dirt road or a bad underground is no problem. Even a curb can easily be overcome. 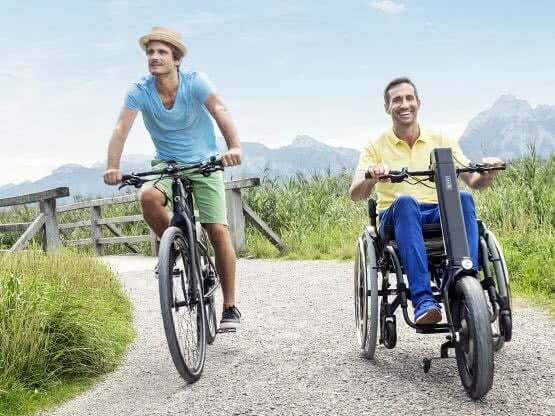 Clever functions on the go: Thanks to the optional Mobility Plus Package, the e-pilot can be extended by useful functions, such as a wheelchair-accessible navigation function or the speed extension to 20 km/h. This makes the trip really fun and you will reach your goal faster. 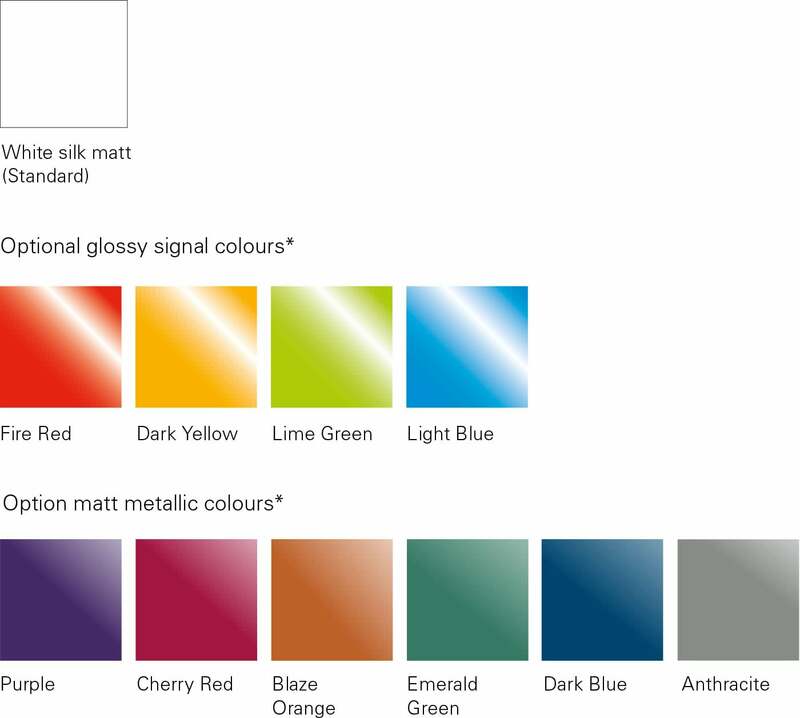 Individual appearance through a wide range of designer colors. Frame color is black. 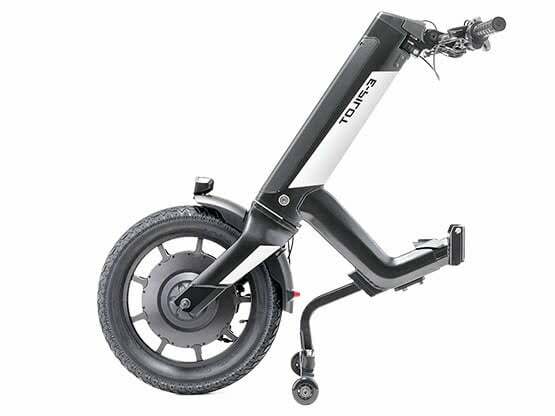 Colour panels on the side frame and fork are white as standard or choose among a variety of colors.